other buttons are illuminated. Also my passenger side headlight stays on even when i turn off the headlights, the headlights goes back down, but it stays on. Lastly, on my climate control panel, the buttons on the right side of the screen illuminate, however the buttons on the left side of the display panel do not, are they supposed to light up? i'm hoping there a some bad fuses. Subject: Team3S: What to do at 200,000 miles. I have been reading a great deal about the maintanance of the 3S at 60,000 miles. Well, I'm the proud owner of a '91 base model Stealth that I am customizing. I am wondering if anyone can tell me where I can find the maintanance list of what is to be done at 60,000 miles and what should be done at 200,000 miles which is where my car happens to be. Subject: RE: Team3S: What to do at 200,000 miles. Does anbody know where the scanned versions or even an electronic version of these user and installation manuals can be found ? 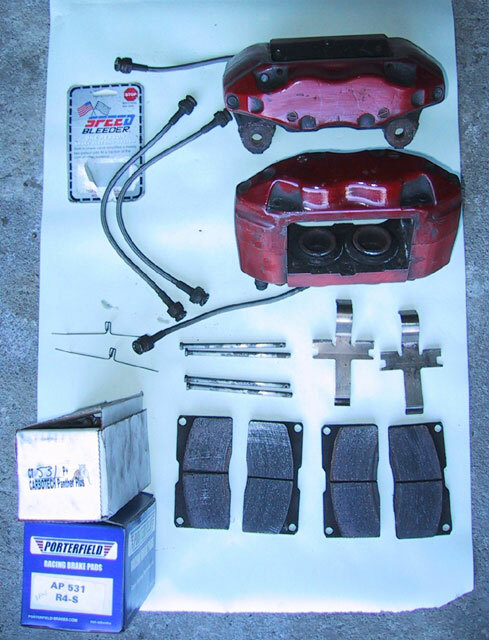 I recently upgraded my brakes and am putting my stock components up for sale. These bolt right up to all model years of Stealth and 3000GT twin-turbo cars. 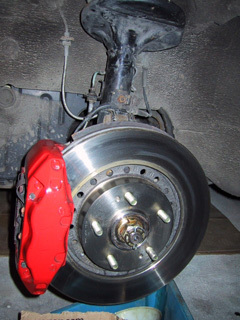 They also bolt up to all model years of Stealth and 3000GT non-turbo cars when installed with 2GTT Front Brake Conversion Brackets (http://www.electronicauto.com/products/2gttbrakeconversion/brackets.htm). 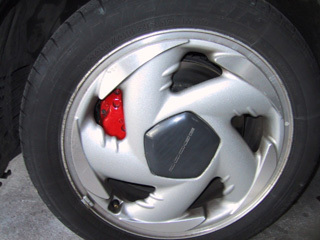 Note that these are large brakes and wheel clearance may be an issue (all 2nd-gen stock wheels 17" and larger will fit). I do not intend to split these packages. Everything works but I can't offer a warranty and must sell as-is. Buyer is responsible for USPS shipping costs from zip code 09468 or within Europe from the UK. I can ship MPS to those with military APO/FPO addresses. Subject: Re: Team3S: Is parts from non-mitsubishi dealer safe to use? Which Suppliers are listed ? I don't think the buttons on the passenger side are illuminated --- some folks have installed leds in them to correct the perceived deficiency. Both headlights are controlled by a single relay so if one light is staying on it may be a short in the wiring harness --- or someone may have screwed with the wiring when doing a jury-rig repair.